NEW! For more information scroll down to the bottom of the page. Tim's musical career is probably even longer than his acting career. He plays the guitar and does the vocals and started performing when he was still in school. There has been a time when he made a living as a musician, playing in bars every night. When he started getting more and more acting jobs music took a little bit of a back seat, though he continued to perform at least one gig every 2 or 3 months, to stay in practice. When Tim began his work on Voyager and started singing at conventions a larger audience became aware of his talents. Since several other Star Trek actors had done it before, we started asking him when he'd be putting out his first CD. Don't ask me why, but it took him almost four years before he finally decided he'd try that avenue. His debut album, "Only a Dream in Rio", was pretty successful with the audience and around that same time Neil Norman from Crescendo Records met Tim at a convention and Tim sang with Neil Norman's band. Norman was impressed and the two started working together more often. A second, much longer CD was the result - plus a concert tour through Europe and various performances at conventions, at Star Trek: The Experience in Las Vegas and at other occasions followed. 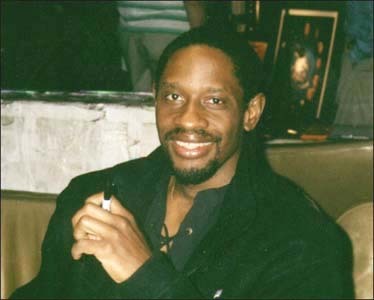 Those concerts became soon very popular and Tim issued his third CD, "Kushangaza". But "Kushangaza" is not the last! Tim's next CD, "Brave New World", was released and at a convention in Italy in March 2003 and the (so far) latest one, "Second Thoughts", a compilation of some of Tim's more popular songs plus four new recordings, was released in 2007. For more information on this latest project scroll to the bottom of this page! Tim says his music will always be there, and despite lots of new projects - mostly in the production area - he plans to continue devoting a certain percentage of his time to music. He continues to play at conventions and does the occasional gig in bars or clubs. Check his web page for upcoming music performances! If he does a performance anywhere near you go and see him! He is that good! 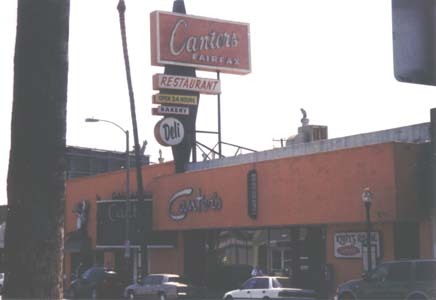 One of the places where he is performing semi-regularly is the Kibitz Room at Canter's Restaurant, on Fairfax Avenue, a few blocks up north from Farmer's Market. I had the good fortune of see him there on Aug. 17, 2002. This is the place: If you look closely, you can read "Kibitz Room" next to the main entrance. That's what it looks like inside. 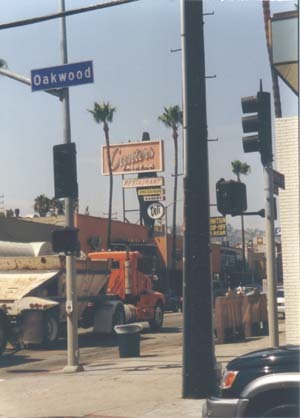 This is the place where the musicians set up their equipment and play. 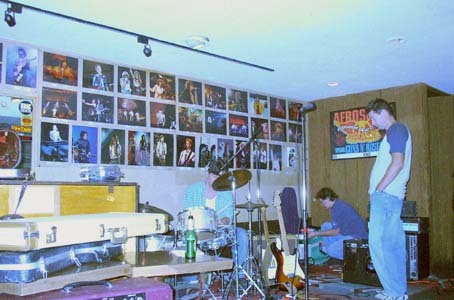 Pictures on the wall show people that have performed there previously. Bill Burchell says Tim needs to get his picture up there as well. I could not agree more! At Tim's web page you also can listen to audio clips from his CDs. The whole CDs can be downloaded through emusic or ordered through Tim's page (see Links-page). 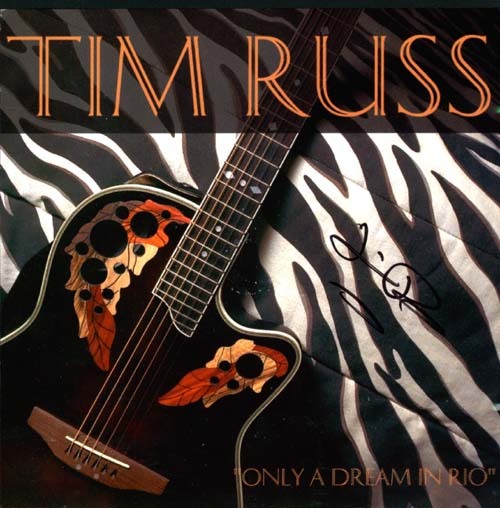 Tim's debut album, "Only a Dream in Rio". It was published in 1998. Click here to read a review of this CD! 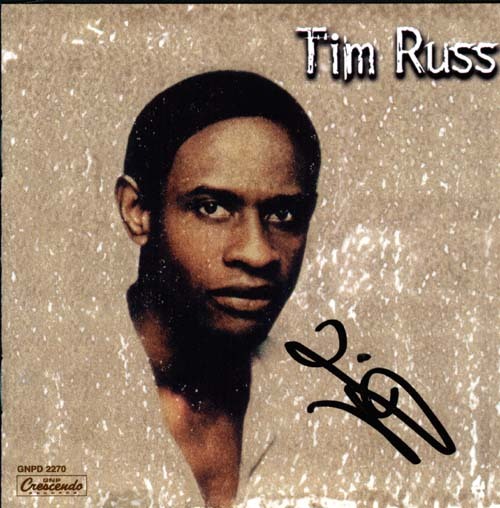 Tim's second album, called "Tim Russ", by Crescendo Records (2000), where he is accompanied by Neil Norman and his "Cosmic Orchestra". Tim does not only sing, he also plays rhythmic guitar. This one contains 11 Tracks. Click on the thumbnail to read them. 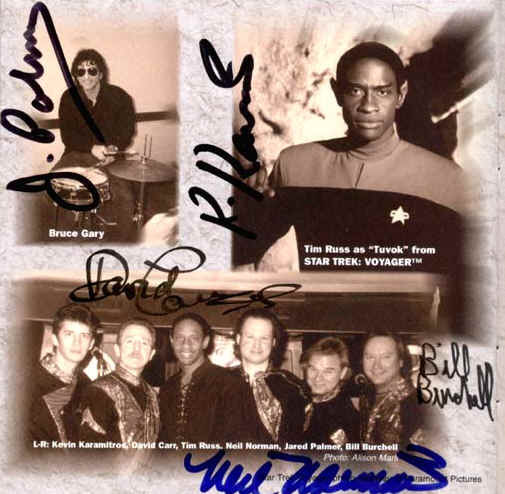 Pictures from the CD-booklet: Tim as Tuvok, and Tim with the whole band, plus an additional percussionist. All five members of the Cosmic Orchestra have signed my booklet. Click here , here and here to read reviews of this CD! My own review can be found at Tim's official web page. Follow this link to read it! 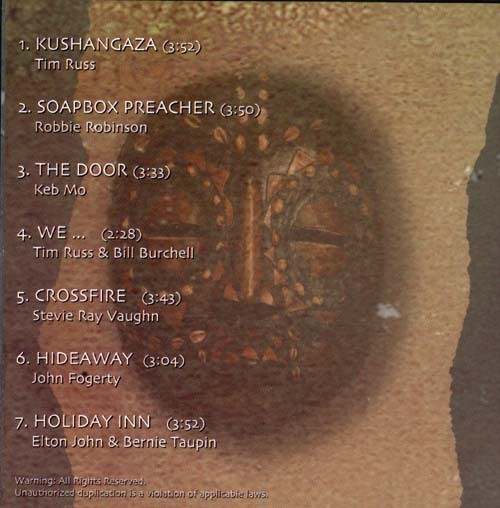 The third CD, "Kushangaza", was released in early 2001. It was produced by Tim himself in collaboration with Bill Burchell, the keyboarder of the Cosmic Orchestra. 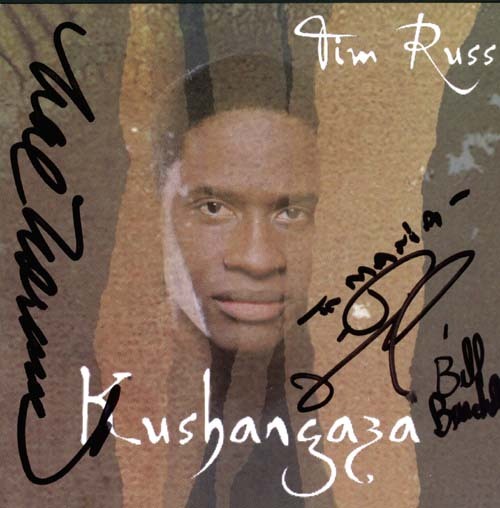 Tim plays rhythmic and acoustic guitar, Bill of course plays the keyboard, Neil Norman still plays lead guitar and Kevin Karamitros provides the percussion for the title song, "Kushangaza". (By the way, "Kushangaza" is a real word, it is Suaheli for "amazing"). The CD is dedicated "To my daughter Maddy, with love". My CD cover, signed by Tim, Bill and Neil. 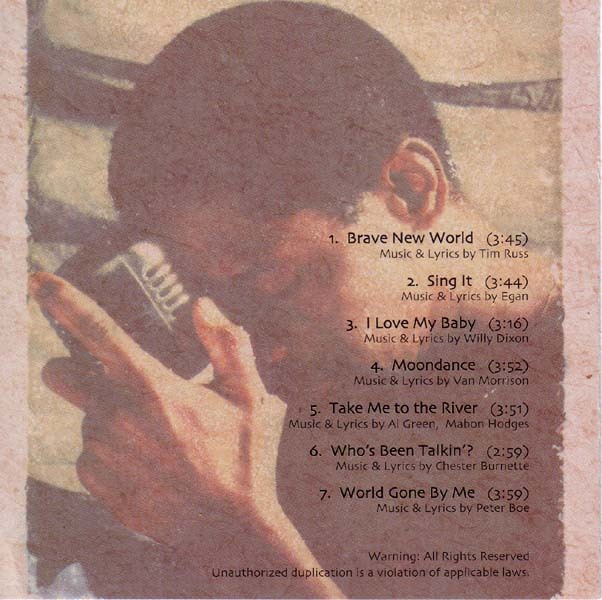 The back-cover of the CD with the titles and credits for the seven tracks. Click on the thumbnail to read them! There is finally a review of this one available at musicstreetjournal.com - check it out! I personally like this CD very much. Some very good songs and a very impressive performance by Tim. Highly recommended! The next CD was called "Brave New World", and like the previous one it was produced by Tim in collaboration with Bill Burchell. Tim once again does all the guitar work himself (rhythm, lead and acoustic guitar) in addition to the vocals, while Bill plays the keyboards and is in charge of the sequencing. The CD once again contains seven songs, the title song written by Tim. The credits for the background vocals is also full of familiar names: Tim himself, Jedda, Bill, Tim's brother Mike, and a certain Chelsea Coy, the only person in the list I do not know. The dedication reads: "To Jedda, Maddy, and my family with love". The cover of the new CD, signed by Tim. 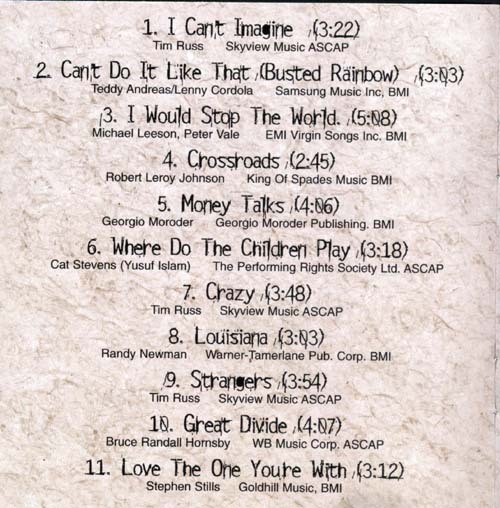 The back of the CD-booklet with the titles and credits of the seven tracks. Click on the thumbnails to see the pictures and read the credits. Read a review of this CD here. After several years of wait, Tim finally released a new CD in 2007, titled "2nd Thoughts". It contains 4 newly recorded songs, "Shine" (Richy Fante), "STand Up and be Strong" (K. Moore, C. Gibb), "Lie to Me" (Bruce McCabe, David Z.) and "Walkin' the Dog" (Shelton Brooks), plus 10 more songs that were previously published on one of the other albums. The dedication once again reads: "To my family with love". The cover of the new CD, signed by Tim. Click on the thumbnail to get a larger picture.! All the above CDs can be ordered through Tim's webpage.